Wrongful death is a legal mechanism that allows surviving family members to seek compensation for the death of a loved one. Classified under personal injury law, wrongful death actions require the surviving family members to prove negligence in order to obtain compensation. In addition to the standard requirements for any lawsuit based on negligence, Maryland law establishes several limitations on wrongful death actions. The following sections will provide higher-level considerations for wrongful death actions in Maryland, focusing on eligible family members, statute of limitations and noneconomic damages. Code of Maryland 3-904 restricts the type of family members eligible to file a wrongful death lawsuit. Only the spouse, parent or child of the deceased person is eligible to file a wrongful death lawsuit. That being said, there is an exception. If the deceased person did not leave behind a living spouse, parent or child, then the scope widens. There are two requirements in this context. First, the family member must be related to the deceased person by blood or marriage. Second, the family member must demonstrate that they were substantially dependent upon the deceased person. Code of Maryland 3-904 also requires filing of a wrongful death lawsuit within three years of the family member’s death. 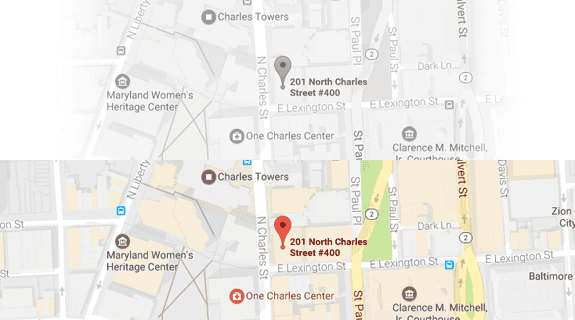 If the surviving family members neglect to file their lawsuit within three years, the Maryland courts will likely toss out the case. Maryland law does provide an important exception. If the deceased person died because of an occupational disease, there is a different statute of limitations. 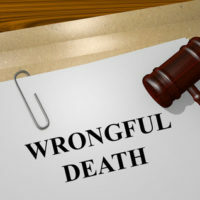 In these cases, surviving family members must bring their wrongful death lawsuit within the shorter of two time periods. The first option is within 10 years of the family member’s death. The second option is three years from the date that an occupational disease was identified as the cause of death. Code of Maryland 3-2A-09 establishes certain limits on the damages available in wrongful death lawsuits. Maryland law does not cap or limit economic damages — such as medical bills, lost wages and similarly measurable costs. Noneconomic damages such as pain and suffering or emotional loss, however, do have an upper limit or cap. The formula under Code of Maryland 3-2A-09 provides for the noneconomic damages cap to increase by $15,000 each year. In 2016, the limit for noneconomic damages in wrongful death actions increased $830,000. Though in wrongful death actions with two or more beneficiaries, Maryland law increases the noneconomic damages cap by 125 percent. If you are considering a wrongful death lawsuit in Maryland, it can be immensely worthwhile to speak with a skilled personal injury lawyer. The lawyers at Iamele & Iamele, LLP in Baltimore, Maryland, have a wealth of skill and knowledge in the field of personal injury law, including wrongful death actions. If you need legal help, contact us today for a free initial consultation.